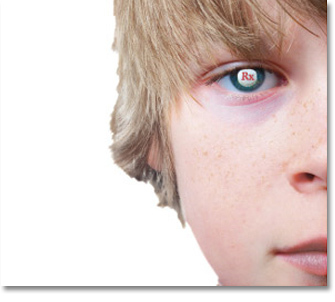 As early as 1995 the International Narcotics Control Board (INCB) raised the alarm over the ‘patient’s rights group’ CHADD (Children and Adults with ADHD) actively lobbying for the use of methylphenidate (Ritalin) for children labeled with ADHD while being funded by Ciba Geigy’s (now Novartis), the manufacturer of Ritalin. INCB said that this promotion of sales of an internationally controlled substance could be identified as covert advertising in contradiction of the provisions of the 1971 Psychotropic Drugs Convention. Between 1991 and 1994 alone, the national CHADD office received almost $1 million from pharmaceutical companies. This included support from Cephalon, Eli Lilly, McNeil, Ciba Geigy, Pfizer, Shire and UCB Pharma. 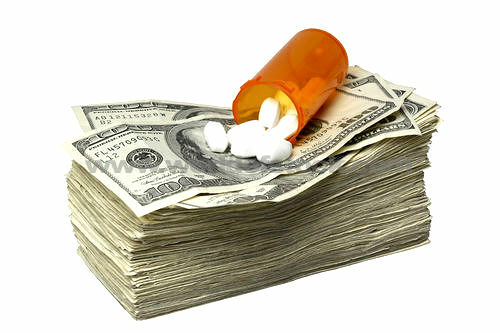 CHADD’s 2000–2001 annual report disclosed that the group received 19.6% of its budget from drug makers. In 2005, that rose to 22% ($1,035,000) and within a year had jumped to 28% ($1,401,000)—a 35% increase in just five years. As of June 30, 2008, in addition was $1.2 million in drug company donations and grants, 64% of CHADD’s sales and advertising was derived from such companies ($466,104). Total pharmaceutical support from companies such as Eli Lilly, McNeill, Novartis and Shire US represented $1,205,000 or 21.9% of CHADD’s total revenue. In 2009, the total pharmaceutical donation support of CHADD was 26.6% ($1,174,626). This included donations received from Eli Lilly, McNeil, Novartis and Shire US. The drug companies paid another $412,500 to CHADD in sales and advertising. Thus, the total financial support of CHADD by the drug manufacturers was $1.6 million, or 36% of total revenues that year. In 1987, members of the American Psychiatric Association (APA) voted to include ADHD as a mental disorder in its Diagnostic and Statistical Manual of Mental Disorders (DSM). The same year, CHADD was formed. The financial relationship between CHADD and Ciba Geigy began a year later. CHADD used Ciba’s money to build its membership and to “promote awareness” of the “diseases” ADD/ADHD. The number of CHADD chapters exploded from 29 to 500. In 1988, the number of American children labeled with ADHD exploded with it, from zero to 500,000 and has steadily increased since then. 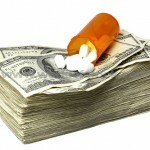 Despite INCB/DEA concerns, and a clear conflict of interest with pharmaceutical companies, in 2002, the Center for Disease Control and Prevention (CDC) gave $750,000 of taxpayer dollars to CHADD to act as a national resource center on ADHD, including a website that advocates biological (drug) approaches to treatment. In 2004, this increased to $1 million. More than half of the drugs endorsed on the CHADD website are manufactured by drug companies that fund it. One of the largest growths in psychotropic drugs is stimulants prescribed for “Attention Deficit Hyperactivity Disorder” (ADHD). Approximately 94% of ADHD stimulant global sales were derived from the US in 2004. In 2004, the value of the ADHD market was $2.4 billion and had become one of the fastest growing (40% plus year-on-year). By 2008, it reached almost $4.4 billion, helped by “advocacy” groups—the most prolific being Children and Adults with ADD (CHADD)—marketing for Pharma. In 1991 CHADD lobbied for the Individuals and Disabilities Education Act (IDEA) to amend eligibility rules for federal special education programs and federal education grants, providing schools with $400 for each child diagnosed with ADHD. The same year, the Department of Education formally recognized ADHD as a handicap and directed all state education officers to establish procedures to screen for ADHD and provide those identified with special educational and psychological services. A decade later, with soaring Special Ed costs, a President-directed investigation into special education found that more than 50%, or 3.2 million children, had been placed in special education due to subjective categories such as “Non Specific Learning Disorder” costing an estimated $28 billion per year. As was established, the real problem was not that the kids had learning disabilities—including ADHD—but that they had never been taught to read. In an article published in PLoS Medicine, Christine B. Phillips writes that CHADD tries to make teachers “sickness brokers for ADHD,” marketing “educational” programs for them, including acting as the lead editorial consultant of a special issue on ADHD in “Health in Action,” a quarterly publication of the American School Health Association. Teachers are now expected to diagnose students using such instruments as the Conners Teacher’s Rating Scale Teachers—based on the APA’s diagnostic manual—and often agree to administering psychostimulants to students during the school day. Shire Pharmaceuticals, which makes stimulants Adderall and Vyvanse, funds CHADD. In November 2009, the FDA also approved a new “nonstimulant” INTUNIV produced by Shire, which CHADD already lists on its website. Matthew Emmens, the CEO of Shire displayed a graph of Adderall sales, surging from just $10 million in 1996 to almost $520 million six years later. This single amphetamine product constituted more than 40% of the company’s total revenues. “Coincidentally, the same month as the Shire presentation suggesting there may be 8 million potential new adult drug users, CHADD’s drug-company sponsored magazine Attention ran a feature story entitled “Dads with ADHD.” About the same time as a Shire-sponsored CHADD charity event was held, Shire released the results of a survey at a giant APA congress in New York, detailing what were described as the devastating emotional difficulties facing millions of adults with ADHD. Shire was also one of the sponsors of the psychiatrists’ congress. At the time of these marketing activities, Shire did not have regulatory approval to promote its drug for adult use. CHADD’s 2004 annual conference focused on ensuring the public understood that ADHD was now a “lifespan disorder.” “Medications for Adults with ADHD” was the title of one of the planned presentations. Key drug company sponsors were Shire, Lilly and Novartis, “who are all competing aggressively for a share of the this expanding, and now maturing, market,” noted Moynihan and Cassels. In August 2004, the Food and Drug Administration (FDA) approved Adderall XR (extended release) to treat Adult ADHD. Shire claimed that up to 65% of children with ADHD could still exhibit symptoms into adulthood, so they had a potential 4.4 million person to which they could sell Adderall. In 2008, the FDA approved another Shire stimulant, Vyvanse, to treat adults with ADHD. In 2009, Shire announced “two initiatives reinforcing their commitment to the care of adults” with ADHD. The first initiative, “RoADHD Trip,” is a multi-city “self screening tour”—involving just six questions—visiting eight cities across the country. The second initiative, ADHD Clinical Education (ACE) Program, includes a field-based team of psychiatric nurses providing “in-office education to physicians and their staff on ADHD in adults.” Shire had already had 52,000 adults in 2008 “self screen.” For further information, the contact number in the press release is a Shire employee. The states are: Milwaukee, WI; Chicago, IL; Columbus, OH; Indianapolis, IN; St Paul, MN; Pomona, CA; Oklahoma City, OK; and Dallas, TX. “Methylphenidate (A Background Paper),” U.S. Department of Justice, Drug Enforcement Administration, Oct. 1995; Report of the International Narcotics Control Board, 1995, http://www.undcp.org/reports/incb95en.htm, p. 28. “Methylphenidate (A Background Paper),” U.S. Department of Justice, Drug Enforcement Administration, Oct. 1995. Thomas Sowell, “Federal Dollars Wasted on ‘Diseases’ that Don’t Exist,” Freedom Magazine. Dr. Mary Ann Block, No More ADHD, (Block System, Inc, Texas, 2001), p. 13; House Government Reform Committee Hearing On The Overmedication Of Hyperactive Children, 26 Sept. 2002. “CHADD’s Income and Expenditures (2007-2008),” CHADD, 2008, http://www.chadd.org/Content/CHADD/AboutCHADD/Reports/default.htm. Diagnostic and Statistical Manual of Mental Disorders III-R, Published by the American Psychiatric Association Washington, DC, 1987, p.50; “Welcome to CHADD—The CHADD Information and Resource Guide to AD/HD,” CHADD website: http://www.chadd.org. “A.D.D.— A DUBIOUS DIAGNOSIS?,” The Merrow Report, PBS, 20 Oct. 1995. Richard DeGrandpre, Ritalin Nation, (W.W. Norton & Co., New York, 1999), p. 18. John Merline, “Public Schools: Pushing Drugs?”, Business Daily, 16 Oct., 1997; Genevieve M. Young, “The ‘Child’s Initiative’:,” March 1996, p. 4 of 12, Internet URL: http://www.townhall.com/crc/trends/ot-0396.html; Special Education Legislation 1958-1991, http://specialed.miningco.com/library/weekly/aa040797.htm (accessed: 6 July 1998). Christine B. Phillips, “Medicine Goes to School: Teachers as Sickness Brokers for ADHD,” PLoS Med 3(4): e182. doi:10.1371/journal.pmed.0030182, 11 Apr. 2006, http://www.plosmedicine.org/article/info:doi/10.1371/journal.pmed.0030182. “ADHDSupport.com Teacher Discussion Guide,” http://www.adhdsupport.com/teacher-discussion-guide.pdf. Ray Moynihan, Alan Cassels, Selling Sickness, (Nation Books, New York, 2005), p. 56. Ray Moynihan, Alan Cassels, Selling Sickness, (Nation Books, New York, 2005), p. 69. “New adult ADHD drug receives FDA approval: The U.S. Food and Drug Administration has approved the first prodrug designed for once-daily treatment of adults with ADHD,” 24 April 2008, http://www.physorg.com/news128247002.html. “Shire Initiates Two Adult ADHD Outreach Programs,” http://www.shire.com/shire/mobile/news/newsItem.jsp?ref=1036.